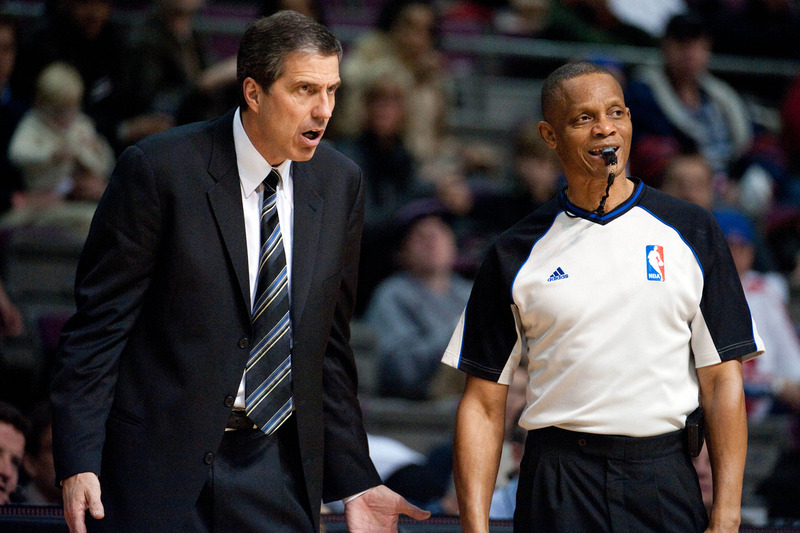 I was all set to write a piece arguing that it would be pointless to fire Randy Wittman. Yeah, he’s not a good coach, but in my view the team is performing about as I expected. The Wizards are neither good nor bad. They’re mediocre. Or, looked at another way, the Wizards are BOTH good and bad. Which is merely another way of saying the same thing: this is an average team. They are what their talent says they are. I don’t believe that any coach could come in and transmogrify this roster into a…well…what exactly? a contender for the third seed? Blech. What would “fix” the Wizards? Fewer two-point jumpers? More screen/roll with John Wall and Marcin Gortat? Better defined roles? A rotation that somehow includes developmental minutes for Otto Porter? A more solid defensive scheme? More consistent effort? Sure, any or all. Some of that could be influenced by the coach, some not. My position has been that Wittman is a problem, not The Problem. And, “The Problem” is that the team doesn’t have enough talent, which is a result of a series of bad decisions by the front office. My thinking has been this: Don’t let Ernie Grunfeld off the hook. Make him live with the success or failure of the team he assembled — players AND coaches. Except, let’s look at reality. Owner Ted Leonsis set the franchise goal for the season: Make the playoffs. In very large part because of a historically weak Eastern Conference, the Wizards will almost certainly accomplish that goal. While they’d be roughly the 11th best team in the West, they’re 5th or 6th best in the East. It would take a catastrophic collapse over their final 29 games to miss the postseason. Assuming Leonsis is a man of his word, Grunfeld will be retained in the offseason. It’s difficult to envision a scenario in which Washington makes the playoffs and Leonsis doesn’t bring back Grunfeld and The Coach. I use “The Coach” intentionally, because the question for Wizards fans is whether you want to root for a team that’s stuck with Grunfeld and Wittman or a team that’s stuck with Grunfeld and Someone Else. My feeling is that Someone Else — whether it’s an interim coach who’s replaced by a “permanent” hire after the season or whether it’s an interim coach who “succeeds” and keeps the job — will be a better long-term option for the Wizards than Wittman. So, even though Wittman has been saddled with a roster that doesn’t include a single player that ranks among the league’s 40 most productive players (Trevor Ariza is the highest rated Wizards player at 44), count me among the fans who’d like to see a new coach. Now. Moving on to the update… The table below presents results from my Player Production Average (PPA) metric. PPA credits players for things that contribute to winning and debits them for things that don’t — each in proper proportion. PPA is pace adjusted, accounts for defense and includes a degree of difficulty factor. In PPA, 100 = average, higher is better and 45 = replacement level. When looking at these numbers, keep in mind that PPA scores in the 140-150 range (like Ariza and Wall) are nowhere near elite levels of production. A typical MVP-quality season would have a PPA of 230 or better. This season’s MVP is likely to be Kevin Durant with a PPA of 261 (so far). Last season, Lebr0n James posted the best PPA in my database with a 284. Wall had a feel-good All-Star weekend winning the dunk contest and playing well in the game. But, if he played in the West, he wouldn’t have been part of the All-Star discussion. He continues to have All-World potential, but his actual production is good — not great. Biggest improvers in this update were Kevin Seraphin and Garrett Temple. Seraphin is now at replacement level. Temple continues to be among the league’s weakest PGs, but is at least a little less bad than he’d been. Wall’s performance slumped leading into the All-Star break. Perhaps he was distracted by the coming festivities? Nenê’s production continues to hover around league average. Martell Webster’s play declined for a sixth consecutive update.